At the 2012 International Biometric Conference in Kobe, Japan, Professor Sue Wilson (pictured above) was presented with the Award of Honorary Life Member of the International Biometric Society "For outstanding contributions to the development and promotion of the discipline of Biometry and for exemplary service and leadership to the International Biometric Society". 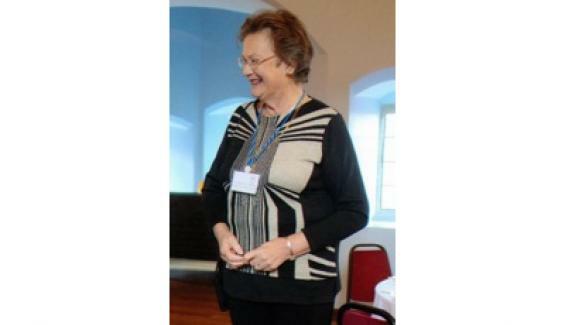 She is the 20th person so-honoured in the 65 years history of the Society, and the first from the Australasian Region. In this context, Biometrics/Biometry refers to the traditional scientific fields of statistical and mathematical methods applicable to data analysis problems in the biological and medical sciences, not to the recently popularised identification technology. Congratulations to Professor Wilson for this fantastic achievement.